Read our helpful guide to second hand BMW 635. AA Cars works closely with thousands of UK used car dealers to bring you one of the largest selections of BMW 635 cars on the market. You can also browse BMW dealers to find a second hand car close to you today. 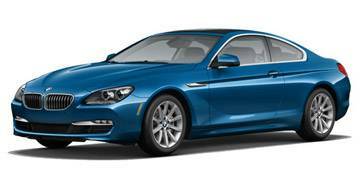 All used BMW 635 on the AA Cars website come with free 12 months breakdown cover. The BMW 635 may be one of the smaller variants of the sizeable 6 Series coupé, but it still features a heavy 3.0 litre engine, and raw, powerful performance. Although no longer a part of the modern 6 Series range, the 635 held a place for a number of years within the large premium saloon's range, and has often acted as the entry level model. Its diesel variant takes pride and place in the later generations - mixing efficiency, power and refinement - while in the earlier models a 3.0 litre petrol provided excellent power and speed. As with all 6 Series, size and luxury are key, which gives the 635 one of the best mix of economy, opulence and comfort available.